Whether you are fond of creating your own culinary masterpieces, or you think cooking should be more automated than it currently is, there are several ranges and ovens for you to choose from. The Samsung NE59J7630SS is one of them. While Samsung, with its sales totaling $211.81 billion in 2017, is more closely identified with consumer electronics and mobile phones, are their ovens any good? Different ranges are considered "the best" depending on what you are looking for. 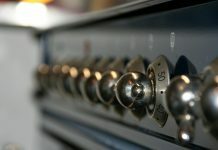 The best electric oven range, the best gas range, the best-looking one, the best oven to splurge on, or the best affordable oven. Where does the Samsung NE59J7630SS fall? How Does the Samsung NE59J7630SS Compare? 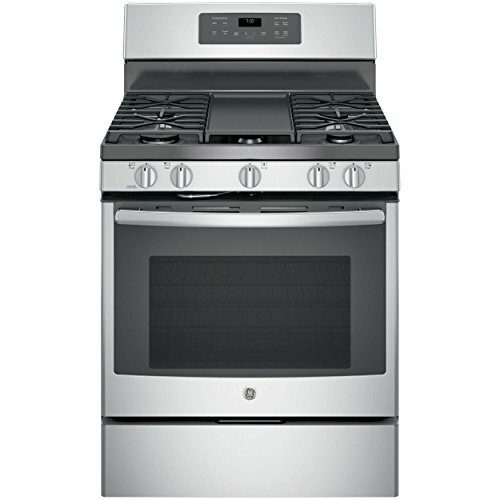 The Samsung NE59J7630SS is a stainless steel freestanding electric range that has a large capacity oven. It measures 29.88 by 25.97 by 47.09 inches and weighs 165 pounds. The NE59J7630SS has two high powered cooking elements. It allows you to cook four different dishes while keeping another dish warm and it's also a convection oven on top of being an electric cooker. In addition, it offers a touchpad for you to change the settings, as well as two cleaning modes: Steam Cleaning for light spruce ups and Self Cleaning if you want your oven spotless. The Samsung NE59J7630SS gives you five burners that allow you to cook different dishes simultaneously. Different sized pots and pans are no problem, and everything from a slow simmer to a rolling boil is possible. The burners deliver anywhere from 1,200 watts to 3,300 watts of heat. The NE59J7630SS has a 5.9 cubic foot oven. The more than ample space allows you to bake different things all at once. You can roast a sizable chunk of meat, put in some casseroles, and even baking racks and racks of cookies. It also has a single-fan True Convection technology that cooks your food more evenly and faster than it would typically take. You can bake and roast anything with temperatures ranging from 175 degrees to 550 degrees Fahrenheit. Further, the oven has two racks that you can arrange using the seven rack positions. It also has two wire racks. The oven is 25 by 18.94 by 20.78 inches and you don't have to worry about cleaning it. You can use Steam Clean to clean your oven faster. In as short as 20 minutes, Steam Clean will make your oven spotless and odor-free. If you need a deeper clean, you can invoke Self Clean, which cleans your oven in anywhere from two to five hours. Controls for the Samsung NE59J7630SS include membrane controls for the oven and diecast knobs for the burners. You also have an ice blue digital LED display where you can change the oven control and choose the cooking option you want. You can use the LED screen to turn the warming center on or off, as well as set the timer, cooking time and delay start time. The oven also features a hot surface indicator light to keep you safe from burning yourself. Also, aside from the delay start, which allows you to start baking at a later time, it also has a Sabbath mode. You will appreciate how you can see things inside the oven with the 40-watt incandescent light as well. On Amazon, the Samsung NE59J7630SS got a dismal 1.4 out of 5-stars rating. Amazon customers complained about Samsung's lousy customer service and not honoring their warranty. Then there is the unexplainable clicking sound coming from the oven. Others complain about the shoddy construction and design that makes it impossible to clean. Reviews are more positive on Samsung's product page. This oven got a rating of 4.1 out of 5-stars. Reviewers praised the fact that Samsung was able to offer customers the perfect mix of price, features, and performance. Meanwhile, negative reviews talk about how some parts are not durable and have broken down after just a few months of use. The reviews are also mostly positive on AppliancesConnection.com, where the NE59J7630SS received a rating of 4.6 out of 5-stars. Verified owners praised it for its performance and features such as the Steam Clean and the ability to boil water in a few seconds. Others complained about its lack of durability, noting issues such as the surface light failing or the control board going out. The Samsung NE59J7630SS is currently available from online retailers such as Amazon.com, Lowe's and Appliance Connection as well as the manufacturer's website. You can find this oven for anywhere from $895 to $1,000. For this review, we looked at the Samsung NE59J7630SS product page, as well as its user manual. We also checked out different online retail sites and credible consumer tech review sites such as CNET. We took similar steps for each one of its featured competitors. 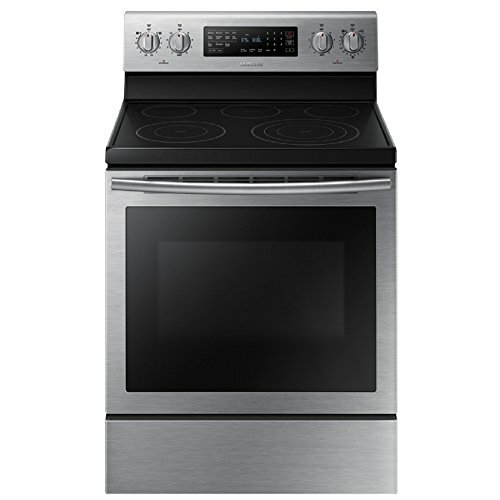 The Samsung NE59J7630SS is a 30-inch stainless steel range that has more than a few competitors. How does it compare with the GE JGB700SEJSS, the Kenmore 94173, and the Kenmore 95073? 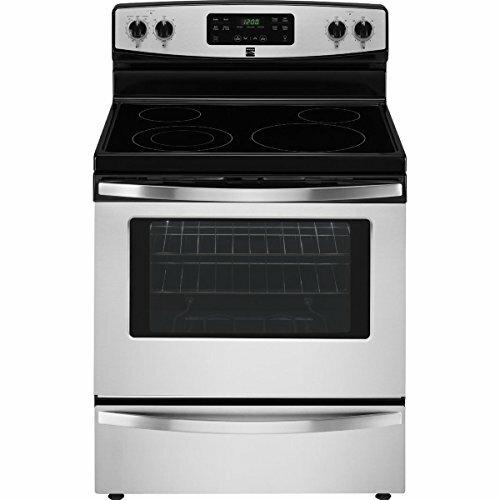 The GE JGB700SEJSS is a 30-inch gas range and oven. This freestanding range as five burners and a sealed cooktop. It features continuous cast iron grates, a storage drawer, and a non-stick griddle. The GE JGB700SEJSS has a rating of 4.6 out of 5-stars on Appliance Connection. Some negative reviews talk about the shoddy workmanship of the range with some knobs falling off, and wobbly grills. 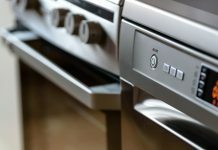 Most people, however, left glowing evaluations about the product's design and controls, as well as the fast cooking times and how the range was able to meet their expectations. The GE JGB700SEJSS is available on ApplianceConnection, Sears, Lowe's, Best Buy, and other online retailer sites. With a price range of $695 to $990, the GE JGB700SEJSS consistently cooks your food rather well, but it does not have the number of features that you find on other similarly priced ovens. If you are looking for a more budget-friendly alternative, the Kenmore 94173 might be what you are after. This oven proves that budget ovens can also have an extensive set of features. For instance, the 94173 has high-performance radiant heat burners, which quickly boil water and cook food in a lot less time. The Kenmore 94173 is also a self-cleaning oven that uses very high temperatures to burn the mess away. The use of a ceramic glass cooktop also adds a sleek look to this budget oven. You can store pans, pots, baking sheets, pizza trays with this oven and it keeps you safe from getting burned with indicator lights. Prices for the Kenmore 94173 range from $480 to $510. It received 4.0 out of 5-stars on the Sears website, with verified customers praising the oven for its radiant heat burners, low price, and how easy it is to clean. The Kenmore 95073 is a stainless steel freestanding range that has five burners on a ceramic glass cooktop. It features the turbo boil FLEX element that can heat your food quickly. Plus, the True Convection technology of the 6.1 cubic foot oven provides more even cooking. The Kenmore 95073 has a self-cleaning feature that goes cleans in two to four hours. The Kenmore 95073 has a variety of other oven capacity sizes for you. You can choose anywhere from 4.8 cubic foot ovens to 6.7 cubic feet. You can also opt to have an electric or induction oven. On Amazon, this product is rated 4.4 out of 5-stars. People praised this oven for helping them cook better and how easy it is to clean. Critical reviews talk more about other things that are not related to the product itself. Complaints were mostly due to the installation, which was not carried out properly. Prices for this oven range from $1,350 to $1,420. If you are considering buying an induction range, then you should know that the Kenmore 95073 is one of the most affordable you can buy. It boils water very quickly, faster than most other electric stoves, while the roasting function is also top-notch. 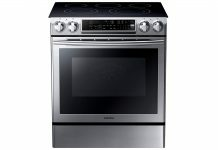 It does have fewer features than some induction range ovens in the same price range, plus it tends to overbake cookies. The Samsung NE59J7630SS has a lot of the little things that help make it stand out. For instance, there are a variety of cooking modes to help you out. You have convection baking, convection roasting, slow cook, and dehydrate features. The Samsung NE59J7630SS is also very fast when it comes to cooking. For instance, CNET did a series of cooking tests on it and found that it boiled water rather quickly and it has excellent broiling performance. Some ovens do not have auto-convert for its convection baking mode, and this can result in uneven temperatures. You would have to decide whether to bake your food at a lower temperature and wait for a long time or opt for fast cooking and risk overbaking your cookies. Thankfully, you would not have this issue with the Samsung NE59J7630SS. It does have a somewhat traditional (read: dull and uninspired) look. Samsung obviously did not spend too much time innovating on the design. 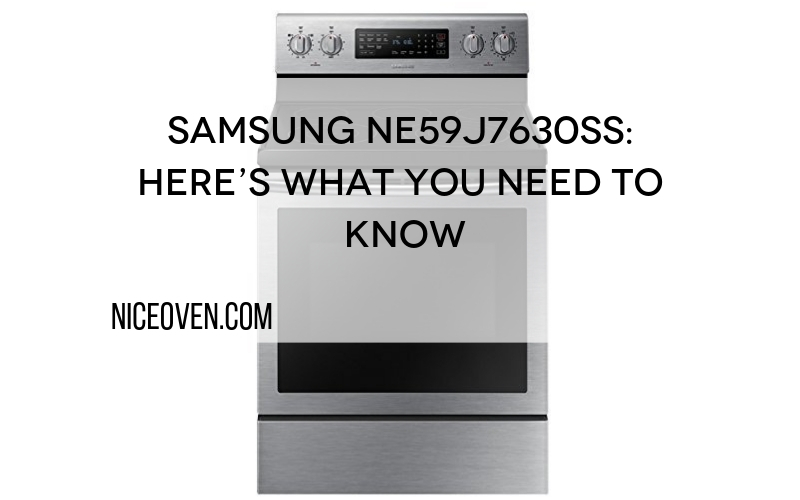 What you get with the Samsung NE59J7630SS is the same stainless steel with a black cooktop that you can find in similar products such as the Frigidaire Gallery 30-Inch Electric Range or the GE JB650SFSS. In fact, put the NE59J7630SS with other stainless steel ovens and you will be hard put to pick it out of the line. Also, CNET did some tests and found that cookies baked at the same time but using different racks would come out different, with some cookies looking very brown while others seem underdone. Roasting chicken in the oven takes less time than in other ovens, but it can sometimes be a bit dry. Samsung oven models as well. At the very least, the clicking is a weird and sometimes worrying sound. You might think that there is a short circuit somewhere and that it might cause fires. However, even if you do know that this clicking sound is normal, it is still loud enough. It is irritating to some people, like the sound of a dripping faucet when you try to sleep at night. The Samsung NE59J7630SS is far from perfect, it does give you dry meats and overbaked cookies from time to time. Plus it looks rather dull and ordinary, as far as stainless steel ovens go. But you should still consider buying it. The Samsung NE59J7630SS does not have too many superlatives. It is not the most affordable range. It does not have the most features, nor is it particularly good looking. But it does give you an excellent mix of affordable price, useful features, and an outstanding performance. If you want a better oven, then you should consider the GE JGB700SEJSS alongside the Samsung NE59J7630SS before buying. The GE JGB700SEJSS can cook food more evenly. However, if you find the prices of the NE59J7630SS a bit too high, then you should check out the Kenmore 94173. Further, if you do not mind paying a little extra, you might want to consider the Kenmore 95073 with its better set of features and the fact that it is one of the cheapest induction ranges available right now. The NE59J7630SS generally performs well. It cooks fast, and it has a lot of cooking modes you can use. 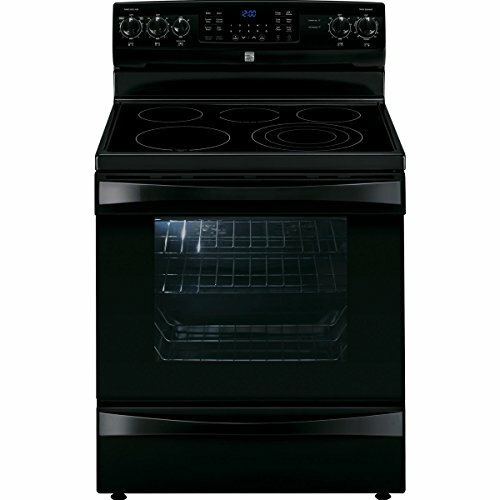 Plus, it is probably one of the more affordable 30-inch ovens out there. At its less than $1,000 price tag, it gives you a host of useful features that make you forget about its flaws long enough to buy it. Previous articleFrigidaire FGGF3058RF: Feature-Packed, But Is It Better?